Maintenance is an important part of caring for any large mechanical system. Your garage door falls into that category easily. There are too many complex components involved in its operation for it not to suffer from gradual wear and tear. Luckily, there's a solution. If your garage door receives regular maintenance it will last for a lot longer, and will be able to avoid a lot of potential accidents and problems. These components require some extra care and attention. Aside from checking their coils for deformations and corrosion, our technicians will also lubricate them properly to promote their smooth performance. 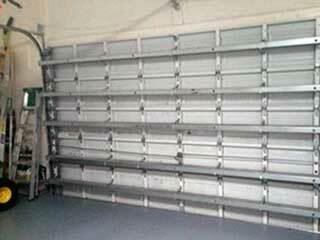 We will do the same for the steel rollers, and for the hinges, in order to alleviate their strain as much as possible. Then we'll test the door's balance and adjust the springs as necessary, to prevent an uneven opening. Your opener makes use of two photoelectric eyes in order to detect whether or not there's an obstacle under the door; i.e. whether or not it is safe to close it. These units have a very crucial role, and therefore they must be checked and tested regularly to ensure their alignment is correct. If we find that they need to be repositioned, or even replaced entirely, we'll take care of it on the spot. Both of these hardware parts tend to develop some dents or bending over time, and they need to be regularly examined for such flaws. If we find any cracks, warping or rust, we'll patch, fix or remove the affected part. The tracks guide the movement of the rollers, so their condition is very important. The panels protect your belongings and contribute to the visual appeal of your home, so their state must also be exemplary. At Garage Door Repair Forest Park, we believe in making our customers know everything we're doing so that they gain a better understanding of their system. That's why we always aim for complete transparency when we perform any type of maintenance. To contact us, simple call our number or use our online system to book an appointment.